THE dead humpback on the beach near Angourie. A QUIET stretch of beach near Angourie turned into a major tourist attraction yesterday as crowds made the pilgrimage to Back Beach to look at a dead whale. 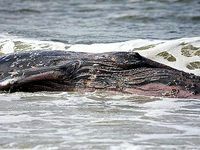 The nine-metre humpback whale was washed ashore on the beach in the Yuraygir National Park yesterday morning. 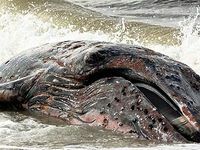 A spokesperson for the National Parks and Wildlife Service, Lawrence Orel, said the whale appeared to have been dead for several days and the cause of death was unknown. “Because there are no obvious external injuries, we're not able to tell how it died,” he said. On Sunday, several Angourie residents reported seeing sharks attacking the carcass as it floated on ocean swells. Evidence of shark bites could be clearly seen along most parts of the carcass. However, reports of increased shark activity around Angourie had no impact on surfers. As the outgoing tide washed around the whale about 9.30am yesterday, more than 50 surfers sat in the water just up the beach. The Daily Examiner asked two surfers on their way for a surf at the end of Back Beach if they were concerned about surfing with sharks nearby. The pair just shrugged their shoulders, took a quick look at the carcass and headed for the waves. 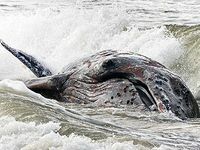 As news of the whale spread, more and more people turned up on Back Beach for a close encounter. Millie Donnison, 13, of Pottsville said she'd seen plenty of live whales passing by her stretch of coastline but had never seen one up close. She was amazed at the size of the whale's eye, which was the size of a clenched fist, and the texture of its skin. “It feels so weird,” she said. Other onlookers were captivated by the whale's baleen. 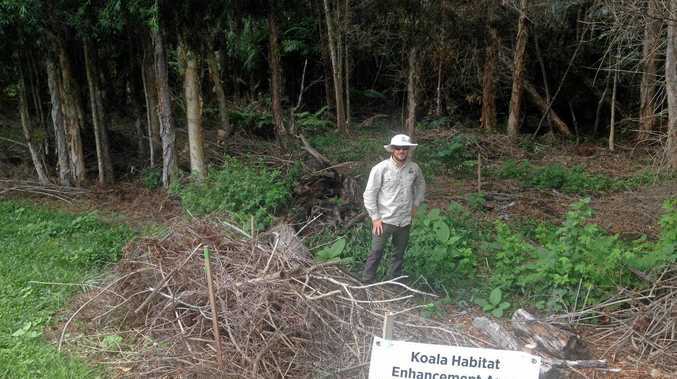 “It's quite interesting to see all the bits and pieces up close,” a Grafton man said. 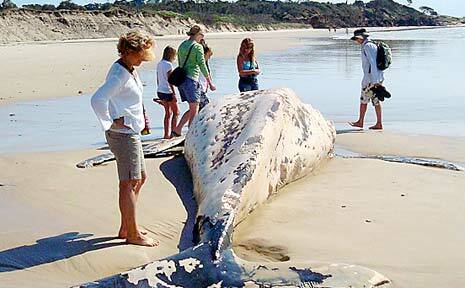 Because of the colour of the decomposing whale, there had been some reports the whale was Migaloo, the albino whale. But NPWS said it was not Migaloo. Mr Orel said when whales died at sea their skin started to fall off, revealing the white layer underneath.